“The late 2012 iMac 21.5″ — code-named EMC 2544 — is an exercise in disappointment for us. We were quite worried when we saw that super-thin bezel during Apple’s keynote, and unfortunately we were correct: the glass and LCD are now glued to the iMac’s frame with incredibly strong adhesive. Gone are the lovely magnets that held the glass in place in iMacs of yesteryear”. 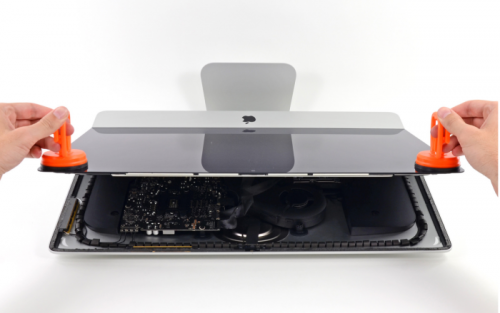 iFixit highlighted a few features in the new iMac: a new single fan layout, dual microphones, a new rubber housing intended for damping the vibrations from the hard drive, a 5mm thinner display from LG. 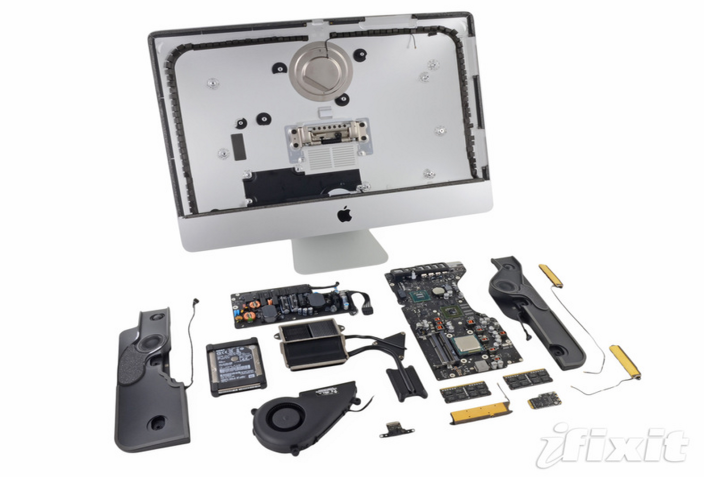 The company scores the new iMac model a 3 out of 10 for repairability, down from 7 in 2011.